Flexible financing options are available to make your decision for procedure much more affordable today. If you’re interested in Financing, you’ll need to complete their application process, which is very much like applying for a loan through any bank. Applications can be completed online or over the phone for your convenience. Once you’ve been approved on your own or with a co-signer, they will confirm their interest rate and discuss the term length of your contract with you. 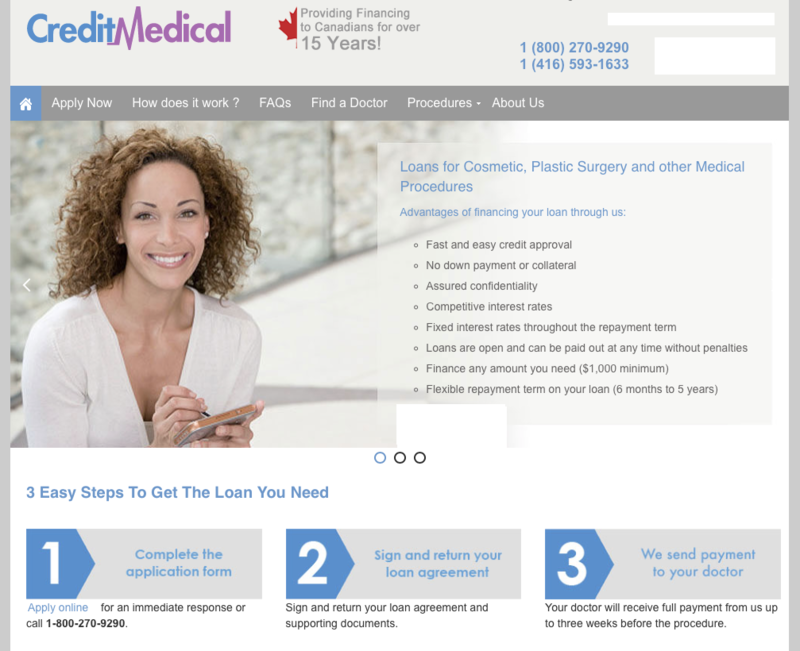 The interest rates offered by companies that specialize in medical and dental financing are competitive and will save you a considerable amount of money over using a Credit Card. Not sure if you’ll qualify for Financing? You don’t need to know your procedure date, procedure cost or doctor to apply for Pre-Approval. Ultimately, your own Bank may offer you the best rates with a line of credit or small loan and we recommended that you contact your financial institution to inquire and compare. Considering (Tummy Tuck) Abdominoplasty? Considering Breast Augmentation?